In the twenty-first century, who needs Lords anymore? Richard, Lord of the Manor of Arkthwaite, lives alone in his crumbling house, resenting his hereditary position. He’s hoping to drink himself to an early grave and bring the title to an end. His bleak plans are upset when newcomer Helena decides to shake up this fading community. She’s been jilted and she needs a new project, so she joins forces with local headmistress Vicky and together they hatch a plan to bring broadband to this remote spot. Their lives clash with Richard’s as the cable needs to be dug across his land. But when Richard falls for Helena, it gets more complicated. She’s suspicious of men and their compliments; and he has his own reasons for wanting to stay single. Can they both shake off their histories to bring a better future to the village - and their own lives? 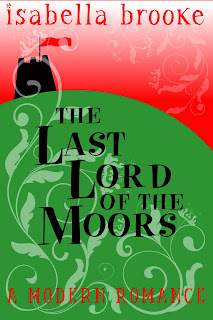 Contains: romance, community regeneration, pagans, over-the-top mothers, British humour, rain. The whole fete chapter was great fun to write and the extract below is just one part of it. I’m interested in characters - of course, what writer isn’t! - but characters get really fascinating when you take them out of their comfort zones and shove them into challenging situations, and then let them spark off one another. Here, Richard, the unwilling Lord of the Manor, has finally been dragged back into public life by Helena. It was a challenge to write a curmudgeonly character like Richard yet still keep him human and appealing enough for the reader to warm to him. Otherwise, why would Helena fall for him? Often I think people reveal their true natures through their actions, so while Richard might be saying one thing, his peace offering of a cheeseburger shows much more of his personality. There was another flood of visitors to the fete just after lunch, and the numbers steadily built throughout the afternoon. Helena and Vicky had split up, and by three o’clock Helena was ready to crawl into a hole and sleep. She had sent someone to Ingholme to buy yet more toilet paper and plastic cups, and was just unloading their car, when Richard finally reappeared. Marie nodded and loaded herself up with loo rolls. She lumbered off and Helena accepted the cheeseburger. It was more than food, she knew. It was a sticky lard-based peace offering. The bread and meat balled in her mouth as she suddenly struggled to chew and to swallow. The sentence hung in the air between them. She forced herself to eat the entire cheeseburger before replying. “I am… if I stop to think about it.” She sagged as she spoke. “What?” She looked at him with curiosity. He folded his arms, then seemed to catch himself, and unfolded them with a jerk. He stamped off and Helena shook her head in despair. He was making it very, very clear there was no romance in the air, and that was exactly how she wanted it. Romance? Who mentioned romance? She frowned, mostly at herself. It was like telling someone not to think about pink elephants. She wiped her hands on a tissue and launched herself back into the fray. 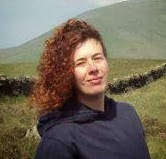 Isabella Brooke is the penname of a writer in North-West England. Under her other names, she writes cozy mysteries and magazine articles. Writing as Isabella, she's free to enjoy creating warm, believable characters that find strength and humour in even the most difficult circumstances. These novels are pure escapism and such fun to write; she hopes they are as much fun to read.